The smallest car in the VW lineup includes a loud new format. WITH first car buyers now figuring among the potential customer base for Volkwagen’s smallest hatch, the brand is using hard-edged street music to get into their mindset. The sixth generation of the Polo lands in five formats, and the one that sits right in the middle of the family, the $29,990 Beats, is being promoted as the version that will be especially aspirational to youths, as a first car. Because? It’s a little bit to do the $29,990 price – thought to be low enough to be affordable to first car scrimpers (and if it's not, parents will likely pay) – but a lot more in the name, dawg. If you’re up with rap, then you’ll know that Beats is a big-time audio gear brand – speakers and headphones – created by the godfather of gangsta, Dr Dre. This unlikely collaboration with the music/media mogul and member of counter culture rap group N.W.A has formed in specific hope of giving its wee city buzzer a touch of something the maker sensed was lacking: Serious street cred with a potential buyer base that has become as equally important as the older set who have traditionally provided the best support. “Why Beats? 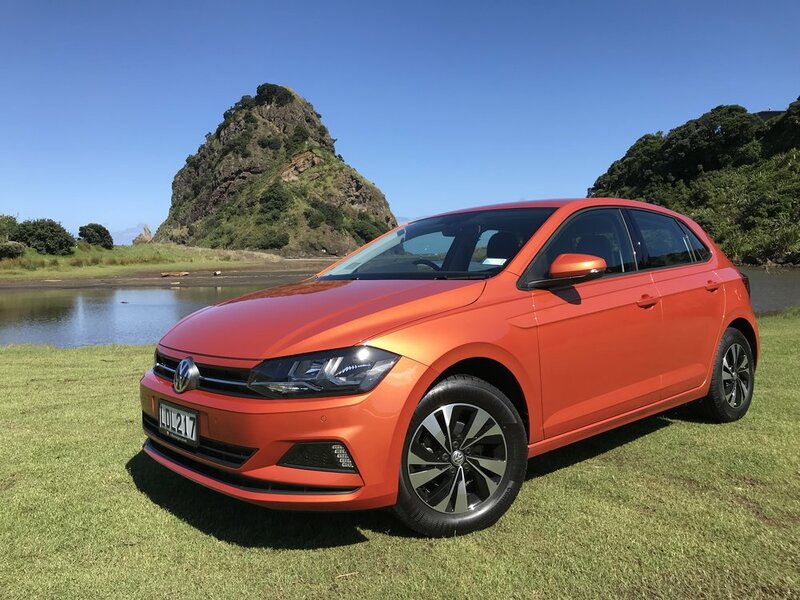 They really wanted to attract a younger audience, and what better does it than with music,” VW New Zealand product manager, Rasika Versleijen, explained at today’s first drive. Which means? Basically, it’s a Polo with a slightly but by no means overtly pimped exterior kit. The 16-inch alloys and three special paint finishes – flash red, pearlescent black and, for the car I tried, a silver white metallic (further enlivened with a racing strip across the bonnet and roof) – and a few interior trim tweaks (pinstriping on the seats, a big slash of matt crimson plastic across the dashboard) - plus lots of Beats badges make it different, if not exactly straight out of Compton. The loudest part of the recipe comes with the sound system. This might not seem immediately apparent, because the touch screen face unit is identical to that presented in any other Polo (or modern VW car, for that matter). But turn it on, and up, and it’s a proper ear-bleeder. The stereo in all the other Polo models here, the GTi included, have 80 Watt units. The one in the Beats? It's rated at 300 Watts. And it has something else not configured with the standard setup, an extra big bass unit in the boot. All that addes up to potential to make a LOT of noise. I tell you, the only time the Foo Fighters have sounded louder and meaner was when I saw them play in Melbourne a couple of years back. A Polo that stands a chance of being heard even before it’s going to be seen is certainly a big departure for VW, but it’s a powerful point of difference has been deemed a necessity in an age where there is so much competition around. Not necessarily from other like-sized hatches. The new petrol-pure line, which also includes entry TSi (in $25,90 manual and $27,990 direct shift automatic), R-Line ($32,990, DSG-only) and flagship GTi ($38,490), has also now been configured to withstand the growing challenge from small sports utility and crossover models. VW has a couple of small soft-roaders off the Polo platform, but the one already in production – the T-Roc – is not available until next year, which is when the other, a yet-to-be revealed car called the T-Cross, will come out. Both are expected to make a huge impact, but in the interim the weight of responsibility for keeping skin in the small car sector and wooing buyers from rival SUVs relies wholly on the Polo. Pressed further, Versleijen suggested it might initially attract about 20 percent of Polo sales, but once word gets around … well, who’s to say it couldn’t be a No.1 hit? Party of that has gone into the engine bay. 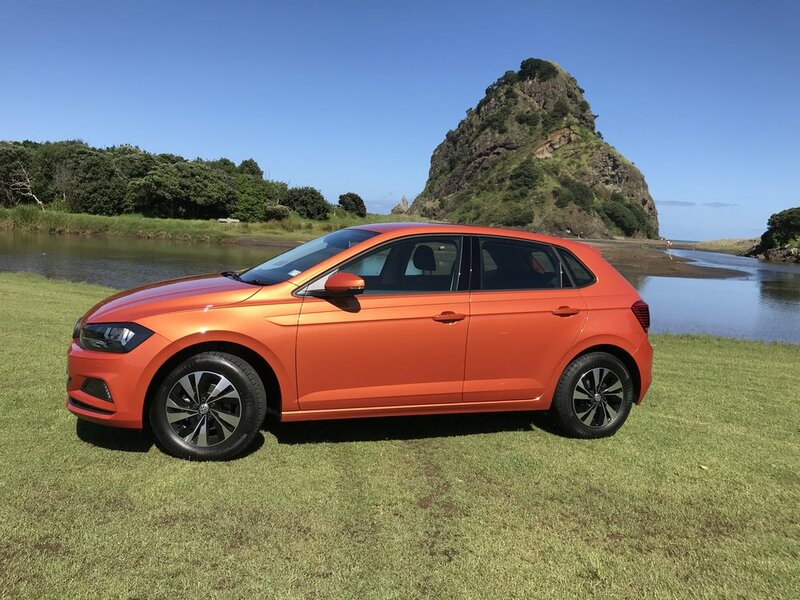 All but the GTi run the same engine, a zingy 1.0-litre direct injection three cylinder engine new to NZ, as its debut application was in an even smaller hatch that won’t come here, the Up!. This comes in two states of song, making 70kW/175Nm in the models here now and 85kW/200Nm in the R-Line. The GTi has a 2.0-litre four-cylinder, presenting 147kW and 320Nm. 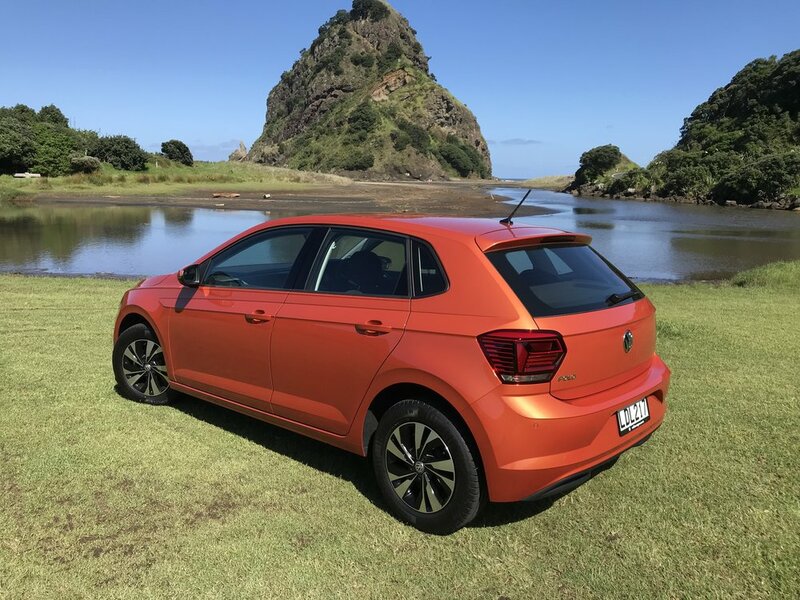 With R-Line and GTi not arriving until May, VW just had its cheapest babies on hand for a first-taste outing, a return run from the Auckland airport precinct to Piha Beach, a drive that offers lots of urban driving condition as well as a forested section with plenty of tight corners, climbs and drops. There’s no doubt that the Polo has all the makings of a good city car – it’s small, light and very nimble – but it has always had a solid enough feel to encourage open road workouts. Nothing has changed. It still feels well-planted and tightly hewn enough; no rattles or creaks, either. It might be categorised as a light car but doesn’t feel it. Tri-cylinder engines of this capacity are now quite prevalent in this class, but the latest to arrive seems unlikely to be fazed by any comparison. From this first taster, it’s easily as effervescent as any other. I had sufficient power throughout my drive – even with the air con on all of the time. VW claims 0-100kmh in 10.8 seconds and a top speed of 187kmh: Identical to the first gen Golf GTi. Progress, huh! The exhaust note delivered a nice rasp when I gave it the beans for a quick overtake, though overall the Polo probably stands out as one of the quieter cars in the category, insofar as extraneous wind and surface-generated noise is concerned. The TSi is on 15-inch rubber, the Beats on 16s, but one seemed as quiet as the other over some quite rumpled tarmac. VW has also upsized on its safety. In addition to all the expected ingredients, it now has front assist AEB (autonomous emergency braking) as standard.